Consider this edible artwork. Matsuri sushi rice serves as the canvas, while a vibrant selection of fish, orange uni tongues, and bauble-y salmon roe are the paint. Don’t forget to take a picture before you take a bite. Make a reservation at Sakerum. A hillock of rice crowned with cod roe sits at the center. A dozen pieces of fish specially chosen by the chef form a ring. There’s a multitude of flavor combinations you can create – and they’re all delicious. Make a reservation at Roe Seafood. Yellowfin tuna, wild East Coast scallops, and Mt. 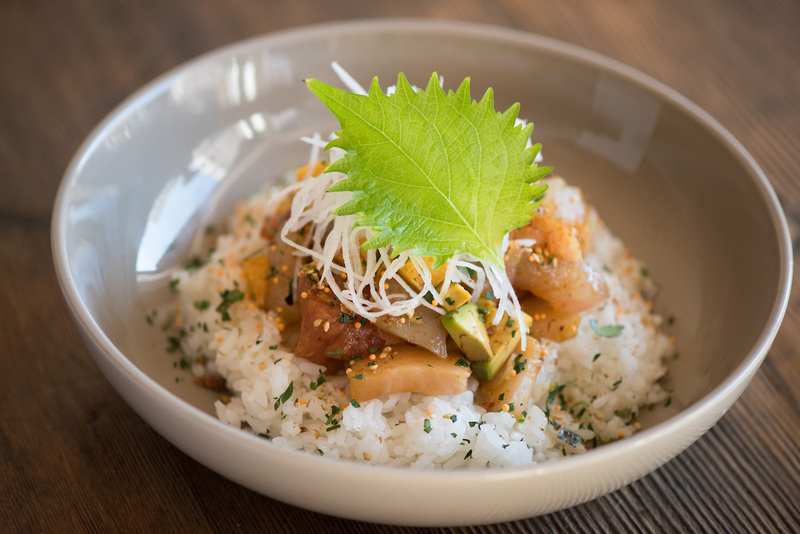 Lassen rainbow trout star in this poke-esque play on chirashi. These primo proteins are mixed with avocado and Japanese omelet and then tossed with garlic soy vinaigrette. A dainty shiso leaf completes the picture-perfect presentation. Make a reservation at Pesce e Riso. 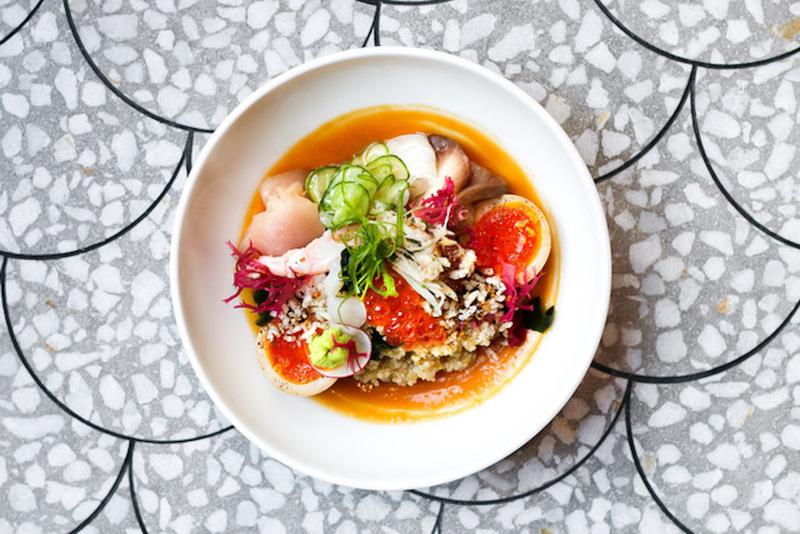 Sea bream, hamachi, albacore tuna, geoduck, sea urchin, spot prawns, and salmon roe are dressed with umeboshi (salt plum) sauce and charred leek dressing. Local wasabi and a ramen egg complement the stellar selection. And golden quinoa from Saskatchewan stands in for the usual rice. Make a reservation at Coquille Fine Seafood. This is Grade 1 chirashi. 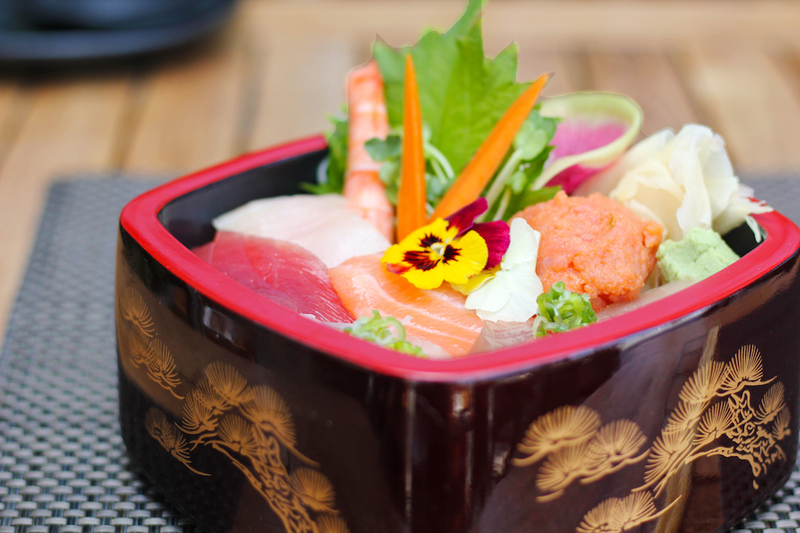 It’s topped off with bluefin tuna, toro, salmon, spicy tuna, sea urchin, and snow crab legs. #BallerBowl. Make a reservation at Sushi Roku. Sushi rice seasoned with rice wine and vinegar serves as the base. 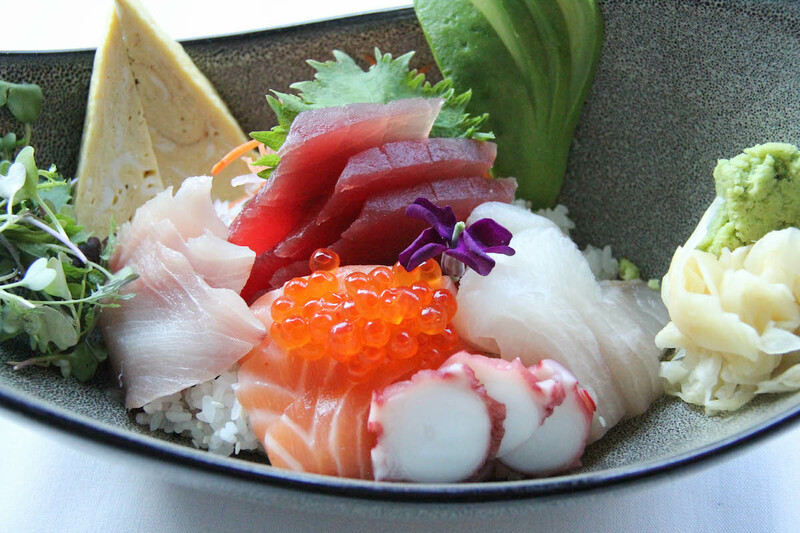 Generous pieces of tuna, yellowtail, salmon, eel, and kanpachi are splayed over it. 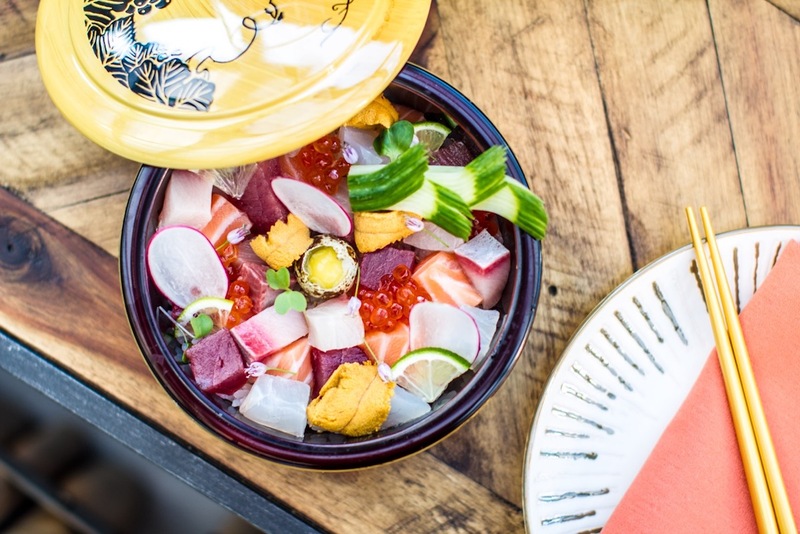 Roe, pickled vegetables, fresh herbs, and avocado fill out the bowl. Make a reservation at The Source. Growing up, we never got a boxed lunch this nice. 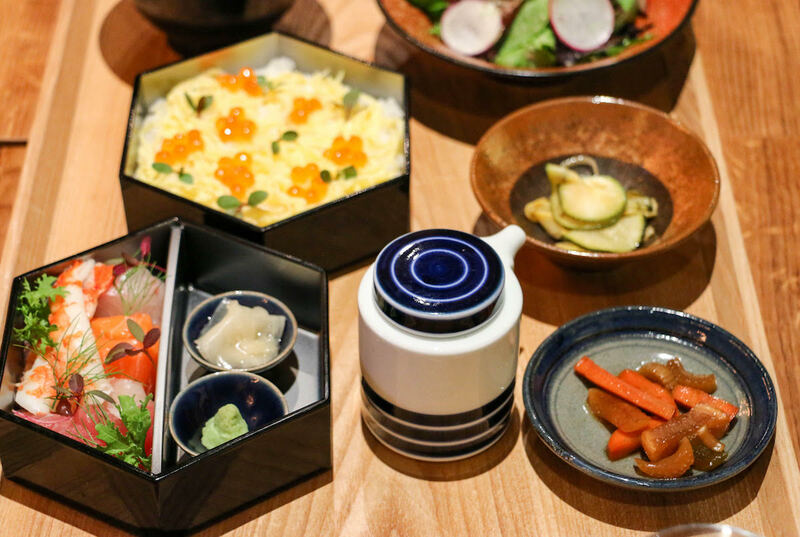 The multi-component chirashi box includes a quintet of sashimi, rice topped with salmon roe, pickled vegetables, salad, and miso soup. Definitely way better than a PB&J with a bag of Lay’s potato chips. Make a reservation at MIFUNE. 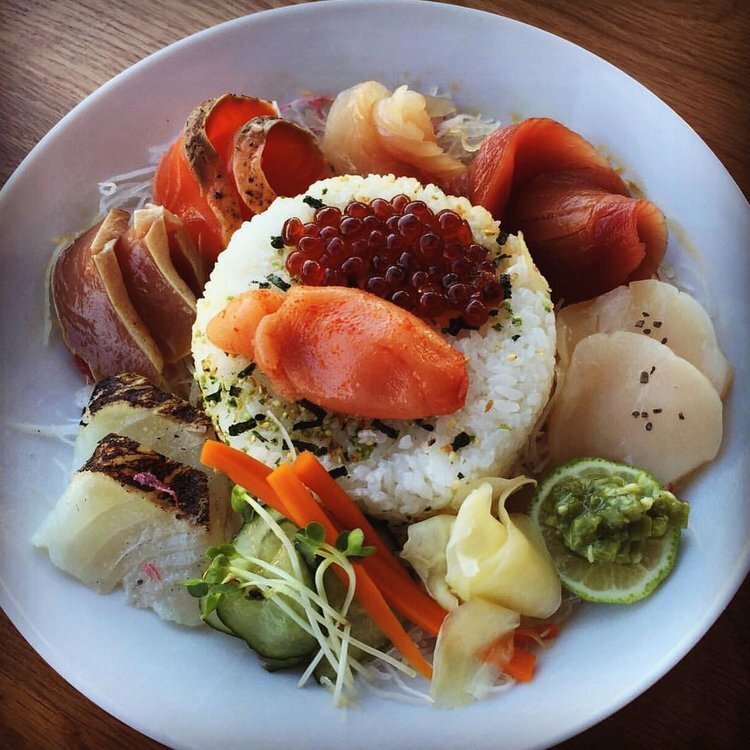 What are your picks for restaurants for the best chirashi bowls? Tell us where here or over on Facebook, G+, Instagram, Pinterest, or Twitter. And, remember to snap + share your #dishpics with us on Instagram for a chance to win in our weekly giveaway. Photo credits: Farrah Skeiky (Sakerum); Kristen Loken (Pesce e Riso); Mifune (Mifune). How did you guys manage to get two DC restaurants in here and NOT pick the best Chirashi in town, Sushi Taro?